What is a water mold? A water mold is one of a group of protists called oomycetes that also includes downy mildews and white rusts. Like many protists, because they look similar and are also decomposers and/or parasites, they were once classified as fungi. Plus, many of the oomycetes have long filament structures similar to the hyphae found in fungi. But their cell walls are made of cellulose and they have flagellated cells—two reasons why they cannot be classified as fungi. 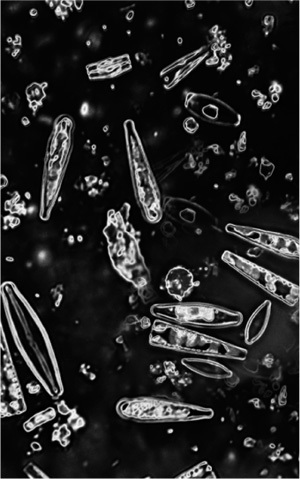 Algae of the phylum Chrysophyta are called diatoms. Common in cold ocean waters, they have a tough outer shell made of silica and are an important part of the food chain.